Is equity the only rewarding investment? The discussions mainly center on why equity investment is the best alternative to beat inflation. Other investment options have literally been given a back seat by proponents of equity. The India growth story has spurred talk in the investment scene alluding to how equity investments are considered to be the prime investment tool. The discussions mainly center on why equity investment is the best alternative to beat inflation. Other investment options have literally been given a back seat by proponents of equity. However, there several other options available for investors to participate in the growth of the country and grow their savings. Here is a brief review of alternatives to equity as an investment. 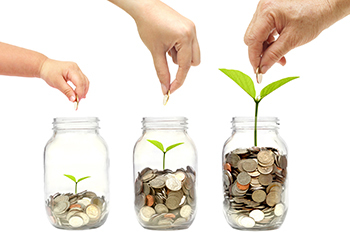 The Public Provident fund is one of the most secure and rewarding investment options in India. A PPF account can be opened through any bank or post office. PPF is best for long term investment where your goals are about 10 years in sight. Moreover recent developments read out in budget 2016 adding to the taxation benefits of PPF make it even a more attractive investment option. The main shortcoming of the PPF is the lack of liquidity. Members have to lock in their savings for a minimum of 5 years when partial withdrawal is allowed. Real estate is thriving in India. The prospects are positive in all major sectors such as commercial, manufacturing, housing and hospitality among others. As an individual, purchasing a flat or a plot of land could be the best investment decision you have made. Not only will you receive rent (in case of plot you will need to have developed it) but also your asset will be appreciating in value over time. A deterrent to this investment usually is the high initial investment required and for those who have the option of borrowing in order to purchase real estate, the value gain of the property has to exceed inflation plus the interest you are paying. Investing in gold both physical and paper gold is also a safe and rewarding investment. Through the government led gold monetization scheme in which gold owners are encouraged to deposit the gold with banks and earn interest from it; the sovereign gold bond, where the demand for gold is channeled to a gold bond linked to the value of gold; or just plain purchase of physical gold. Investors are assured of high returns and tax rebates in the form of capital gains tax. For those still keen on investing in the money markets though not through the mutual funds or direct equity market investments, there are many good bonds which give a good return. For example, the inflation indexed bond or government 10 year bond. These bonds offer a less risky investment option and returns that beat inflation. To close, the past performance of any investment is an indicator of their future performance. Equity investment offers a good avenue, though not the only avenue that beats inflation.